As small business owners and creatives, we have so many decisions to make. From gear and equipment to software, online tools, and apps, it seems like the list of investments to make and options to choose from are endless. I’ve spent tons of time researching and trying to find the best services, and I’d love to share my favorite business tools with you! Just a quick note – I’m an affiliate for some of the resources on this page. What does that mean for you? You’re able to snag a special deal or discount on many of these products and services! These are all products that I believe in and use. I hope this carefully curated list of tools is useful to you!! Want to read about what’s in my bag (my equipment, camera gear, & all those goodies)?? Check it out here! Oh my goodness. There are so many things I love about Honeybook!! Honeybook is a client relationship management system. It’s where I handle all my contracts, invoicing, client communications, payments, & client questionnaires. I love how much time it saves me, and my clients love the ease of signing their contract & paying online. Plus, I love that I can make email templates within Honeybook so that I don’t have to rewrite the same email over and over again! The Honeybook community is so supportive, and they’re partnered up with the Rising Tide Society, which I love! Their customer service is amazing, AND, Honeybook syncs with Quickbooks, which makes my accountant oh so happy. It doesn’t get much better than that! I could go on and on about how much I love Honeybook (in fact, I probably will in a future blog post), but the bottom line is, it makes life so much easier. AND, you can get 50% off your first year using this link. 50% OFF!! What a steal! Have questions? The staff at Honeybook will answer anything and everything for you – they really are amazing! The galleries in PASS are stunning. I’m able to customize the gallery design and cover so that it is cohesive with my brand and has that “wow” factor when clients open their galleries. It’s so easy to use, and the upload & download speeds are super fast – yay! Clients can order prints and canvases right in their gallery, and they’re fulfilled by my lab of choice, WHCC (or you can self-fulfill). Modifying prices, sending coupon codes, or offering free shipping or other incentives to my clients is so simple. When clients place an order, all I have to do is approve it, then it’s sent off to WHCC and delivered to the client. I don’t even have to worry about Sales Tax – they take care of it for me – YES!!!! There’s an app that clients can use to access their photos on the go, and there are multiple plans, so you can choose the level that works for you (including a free plan!). My subscription includes unlimited storage, and my galleries are backed-up to the cloud for 10 YEARS! And, you can get one month free using this link! I’m super Type A, so making sure that everything in my finances is organized and up to date is a huge must for me. The Quickbooks homepage is the most beautiful thing in the world – it shows me everything I need to know all in one place – including my profit & loss, a breakdown of my expenses, the state of my bank accounts, and more! I love how it connects to my banks and lets me review my transactions and upload receipts (via my phone!!) – it makes reconciling a snap! It tracks all my sales tax so that the end of each quarter isn’t a nightmare. I connected my accountant to my Quickbooks account too, so she can access what she needs whenever she needs to! Get 50% off your subscription and a $50 Visa gift card by signing up here! One of the best investments I have made in myself and my business has been education. A few years ago, I took Amy & Jordan Demos’ Shooting & Editing Course. Y’all. This was a game changer for me. They start at the very beginning, so if you’re completely new to photography, it’s a good place to start. But, they also go deep into their shooting priorities and editing processes, so there’s something for all levels of photographers. I loved this course so much that I ended up taking their Posing Course and their Business Course. I loved them all, and I love that I can offer you $50 off each course! The other thing I’ve loved is Mentorship. Having a mentor who can help you take your business to the next level and answer the questions you’ve been asking yourself is so invaluable. There are so many things that mentor sessions can cover – from camera basics to posing, marketing, contracts, blogging, advertising…. the topics are endless! 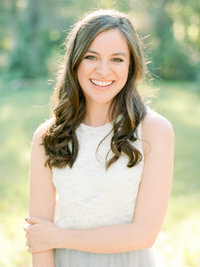 I had the opportunity to be mentored by Mary Fields Photography, and it was an absolute dream. Shooting weddings with her, reviewing my website and portfolio, and learning about how she runs her business shaped the way my business learns today. I believe that no matter where you are in your business, there is always more to learn and room to grow!! I’m just finished Nancy Ray’s Film Foundations course & earlier this year, I’m attending the Bloom Bash Workshop in Austin! As a small business owner and a one-woman company, I have a lot to keep track of! From meeting with clients, booking weddings, paying sales tax, shooting sessions, editing images, delivering client galleries, tracking mileage, answering emails, designing & ordering albums, and a million other tasks, it would be easy for thing to get lost in the shuffle. Enter Trello. Trello is my Virtual To-Do List, Organizer, and Task Manager Extraordinaire. It’s life changing. And, it’s completely free! Eventually, I promise to write a blog about how Trello makes everything in life easier, but for now, check out how Amy & Jordan Demos use it! I track all my mileage in MileIQ. You can have MileIQ run in the background of your phone, so that your miles are automatically logged and recorded into the app. Then, you can swipe each drive as either business or personal to classify the nature of the miles. When it’s time to do my taxes, I can easily pull a report off of MileIQ and get it to my accountant. The paid version is only a few dollars every month, and you can snag 20% off with this link, so if you’re driving for sessions, weddings, and client meetings, it might be a good fit for you! I switched my website to ShowIt this year, and it was SUCH a good decision! The no-code website builder is so easy to use, customize, and modify to fit your brand. I’m obsessed, y’all. Making my new website was so simple, but I had a blast doing it. They offer beautiful design templates handcrafted with photographers in mind. Explore my website and the ShowIt website to get a feel for the product, and visit Viva la Violet to see how I customized one of her templates for my site! I LOVE Planoly. I can schedule my Instagram posts, plan them out in advance to see what they’ll look like, batch all my captions, and be done with Instagram – hallelujah! Last but not least, probably my favorite product ever!! I’ve been using Emily Ley’s Simplified Planner for years and years, and no matter what my life has looked like, it’s been the perfect fit. I love the pocket in the front, the to do list for each day, the monthly spreads, and the super sturdy tabs. While you’re over at her website, check out Emily Ley’s book, A Simplified Life, and her series of dry erase magnets. I use the weekly magnet for meal planning, and it is a life saver! I hope these tools are helpful to you – they’ve definitely made my life easier!! If there’s a tool, product, or software that you’ve loved using, I would love to hear about it! In my Simplified Planner, I like to color code dates that I have a shoot, wedding, or travel with different colors. But, because life happens, plans change, and then I’m left with highlighter ink all in the wrong places. Enter these erasable highlighters. They are ACTUAL MAGIC, guys. They write like a regular highlighter, with ink that looks totally normal. But, they erase. And I mean, they completely erase. Don’t believe me? They’re only a few dollars, so order yourself a set & try them for yourself! In case you missed it, I talked about how much I love them on my What I’m Loving in July post! Oodles of helpful resources! And I need to get Quickbooks, so thanka for that hook up! I have a mentor in the UK that I Zoom with every week. Alex Smale has taught me more about photography one on one than I’ve learned from others in four years of photography business. Highly recommend him! Such good tools! So helpful. I’ve been eyeing the Simplified Planner for awhile and might just do it this year. These are some great tips and tools!